Get together at the Clarion Inn and Suites Airport hotel in Grand Rapids, MI near Gerald R. Ford International Airport. 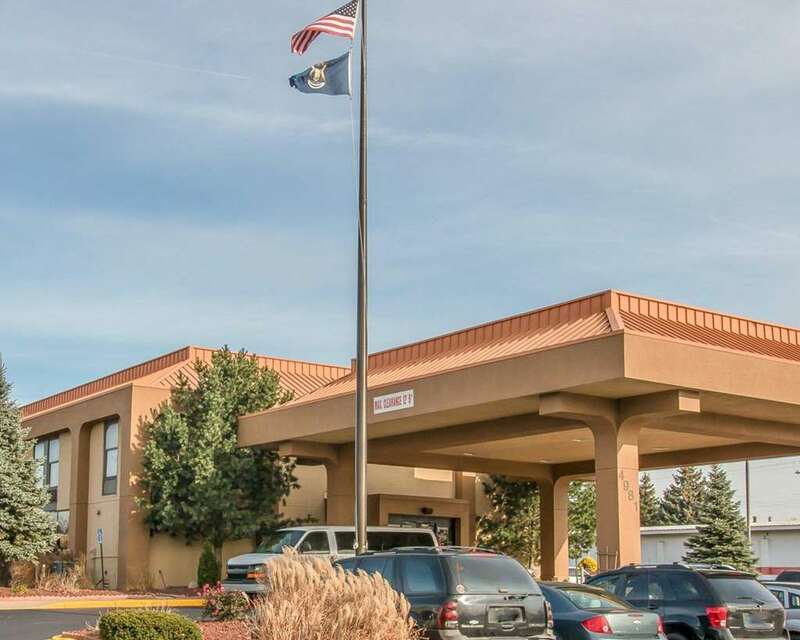 This pet-friendly hotel is located near destinations like DeVos Place Convention Center, Van Andel Arena, MVP Fieldhouse, Michigan State University-College of Human Medicine and Frederik Meijer Gardens. Enjoy amenities like free hot breakfast, free WiFi, free dinner Monday-Thursday, fitness center and business center with access to copy and fax services. Rooms come equipped with a flat-screen TV, microwave, refrigerator, pillow-top mattress, desk and safe. Also, earn rewards including free nights and gift cards with our Choice Privileges Rewards program.